President Obama made his first-ever visit to Lake Tahoe on Wednesday to stress the importance of conservation efforts for the lake and the nation at large in the face of climate change. 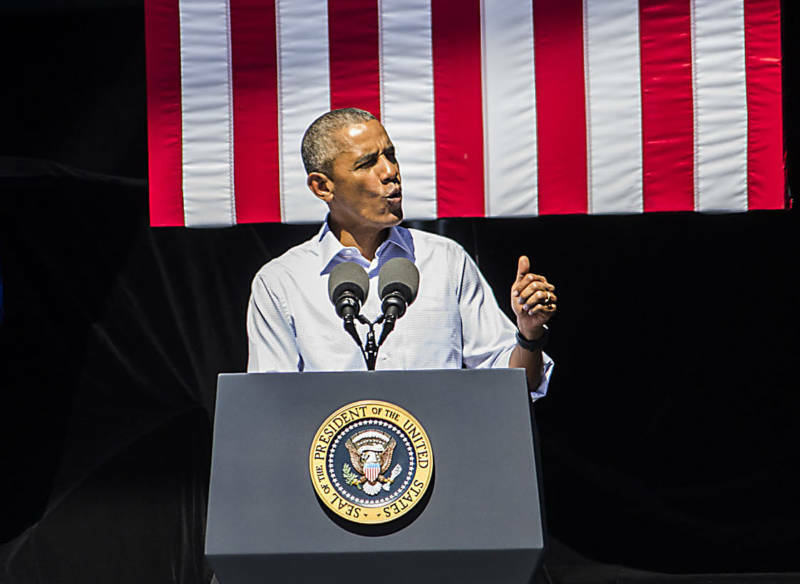 "The challenges of conservation and combating climate change are connected -- they're linked," Obama told a gathering at the 20th annual Lake Tahoe Summit, which brings together political leaders and scientists to hash out major environmental issues facing the lake. Impacts from the changing climate, runoff, erosion, wildfires, and invasive species have all threatened Lake Tahoe's legendary clarity. "Just as this space is sacred to Native Americans, it should be sacred to all Americans," he told the crowd. "That's why we're here, to protect this special, pristine place, to keep these waters crystal clear, the keep the air as pure as the heavens," said Obama. "This is really nice," said the president with seemingly genuine delight, after laying eyes on the Tahoe Basin for the first time. "I will be coming here more often." Obama's admiration for the scenery served to underscore the risks he outlined that climate change and the drought pose to the region. "A single wildfire in a dangerously flammable Lake Tahoe Basin could cause enough erosion to erase decades of progress when it comes to water quality," says Obama. "A changing climate threatens even the best conservation efforts." Obama used the event to announce more than $33 million in funding for ecosystem restoration and renewable energy projects. The largest chunk of new money -- $29.5 million -- will go toward stemming forest fires by clearing potential fuels near Lake Tahoe. A recent U.S. Forest Service report found more than 60 million trees in the Sierra Nevada either dead or dying. 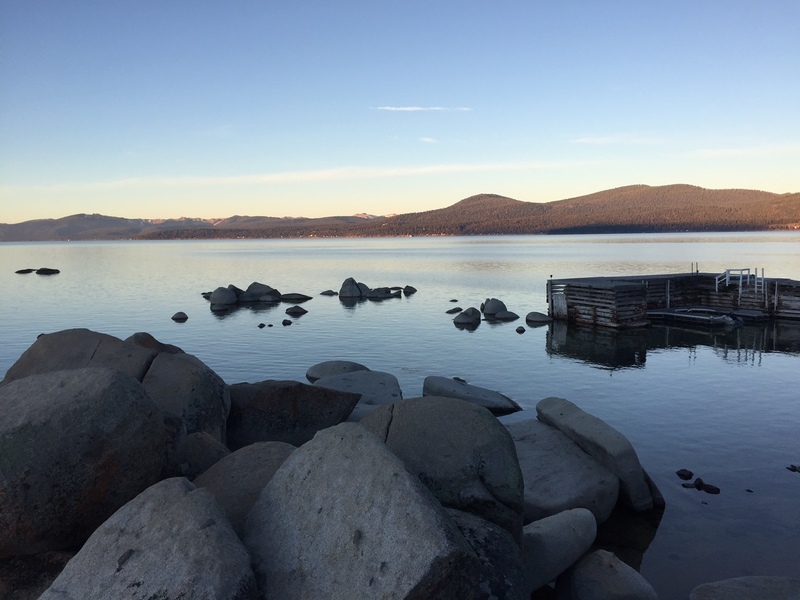 The funding comes at a crucial time for Lake Tahoe, which faces multiple threats despite $1.8 billion in federal, state, and local money having been funneled into protective measures over the past two decades. Warming temperatures in the region have meant more precipitation falling as rain instead of snow, which creates more runoff into the lake. Warmer temperatures also increase the surface water temperature; a recent UC Davis report found that the lake is warming faster than ever recorded. Although California Senator Dianne Feinstein has urged Congress since 2011 to approve more money under the Lake Tahoe Restoration Act, nothing has materialized. Hence, most of Obama's environmental conservation efforts have come through executive action. During his speech, Obama also announced a package of public and private initiatives aimed at restoring the withering Salton Sea and boosting geothermal energy development in the Southern California deserts. Geothermal plants tap the natural heat deep below the Earth's surface to generate electrical power. While California is still home to the nation's largest geothermal operation, development in the state has stalled in recent years. The president said the federal government will work harder to help develop geothermal energy in the southern deserts. The Department of Energy is investigating ways that the Imperial Valley could produce between 100 to 250 megawatts of new geothermal energy while protecting wildlife habitat. The federal government will also put $29 million into two geothermal research projects run by the Department of Energy's Sandia National Laboratories, Fallon in Nevada and the University of Utah. Although the administration pledged funding for wildfire prevention and renewable energy, much of the president's speech focused on private investments. Private sources including the S.D. Bechtel, Jr. Foundation and the Rockefeller Foundation are part of a new $10 million initiative to restore the Salton Sea, which Senator Barbara Boxer has described as being "at high risk of turning into a public health emergency." As the lake shrinks from lack of a natural water supply, decaying organic matter releases hydrogen sulfide, which causes air pollution. The appearance is Obama's first to the annual Tahoe summit, and the first for any sitting president since President Bill Clinton spoke at the inaugural event in 1997. Obama has been on environmental roll lately. Earlier in the summer he visited Yosemite National Park as part of the park service's centennial. Last week he established the Katahdin Woods and Waters National Monument in north-central Maine and expanded the Papahānaumokuākea Marine National Monument, creating the world’s largest marine protected area off the coast of Hawaii. After his talk today he'll travel to Midway Atoll to discuss the importance of Papahānaumokuākea and of protecting our national treasures in the face of climate change.